Philips has signed an agreement with Lakeland Health to integrate the Philips IntelliVue Guardian Solution with automated Early Warning Scoring (EWS) at all three of the Lakeland Health’s hospitals. 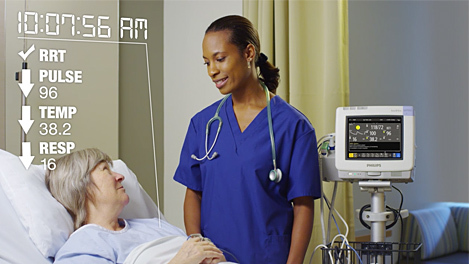 The IntelliVue Guardian Solution contains software and intelligent clinical decision algorithms allowing caregivers to accurately obtain vital signs and seamlessly integrate validated patient data directly to the EHR – reducing human errors and saving time. How Do You Get Through 100,000 Heart Beats Quickly?